Jamie Pipe plays keyboards with The Mentulls. Jamie started playing piano and acoustic guitar at the age of 9. He began composing at an early age and in 2006 he formed The Mentulls with his Brother Andrew. Jamie’s favourite keyboard players and inflences are Thijs Van Leer (Focus), John Evan (Jethro Tull), Rick Wright (Pink Floyd), David Paich (Toto), Neil Morse (Transatlantic, Spocks Beard) and Andrew Giddings (also from Jethro Tull). Jamie’s unique keyboard style, playing the bass parts with his left hand while playing the keyboard parts in his right, makes him stand out from the crowd. 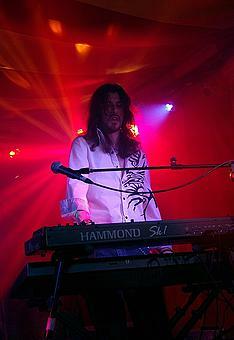 He was also in the full list of nominees for the British Blues Awards 2014 for ‘Best Keyboard Player’.